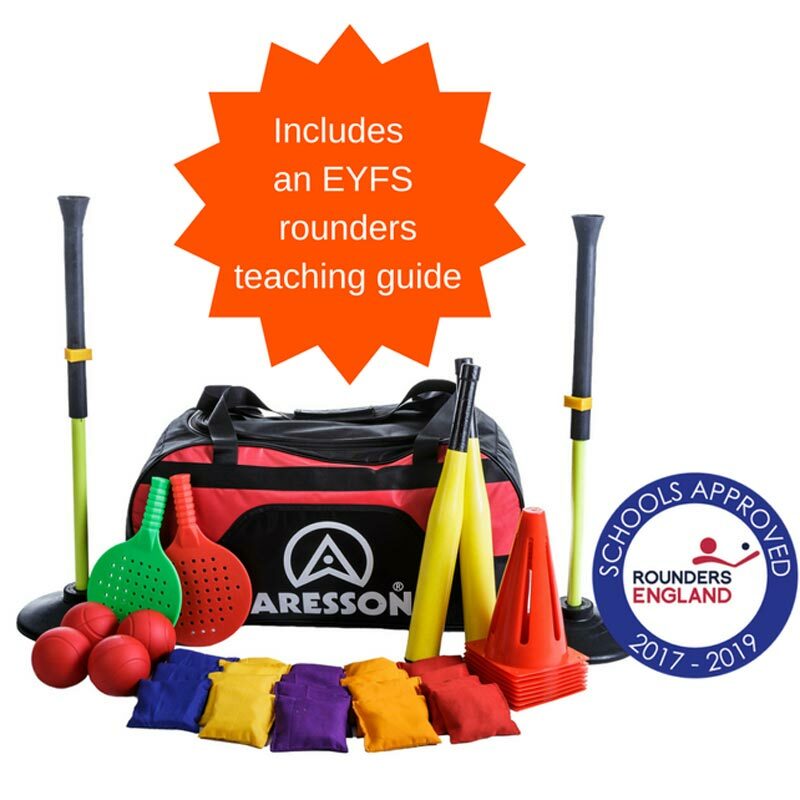 The Aresson ® Early Years Rounders Set is designed to teach very early years, simple, fun batting and fielding skills to 3-5 year olds using a batting tee, a paddle bat large foam balls and bean bags. The set contains a teaching ideas leaflet with lots of ideas for exploration of batting, throwing and catching skills as well as some more structured game ideas. Two sets of everything is included to allow 2 very simple games to take place simultaneously increasing levels of participation.